Fans of Michael Jackson write their tributes on a wall as hundreds gathered at the O2 arena in London for a tribute celebration. The show must go on. 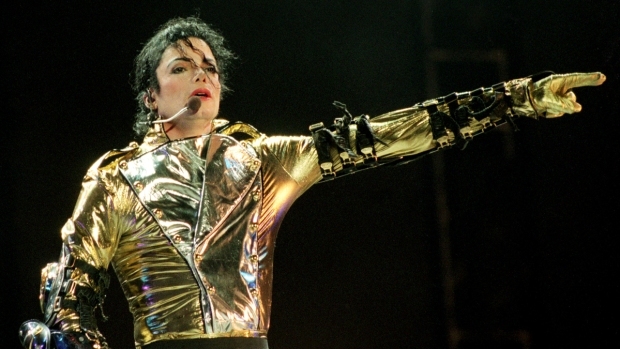 If all goes according to plan there will be not one, but two tribute concerts for Michael Jackson at London’s O2 Arena this August. The date for the first is Aug. 29, which would have been Jackson’s 51st birthday. “As the schedule stands right now, there will be a second show on Aug. 30,” said a source involved with the scheduling. Jackson’s brothers, Jermaine, Jackie, Tito and Marlon, have been involved in “every part of the concerts’ planning process” according to the source, and they have good reason to be: they’ll be performing at the shows, too. Expect to see the Jackson 4 perform a medley of the Jackson 5’s greatest hits. According to the current schedule, rehearsals will take place in Los Angeles the first two weeks of August, and they’ll move to London the week before the concerts. AEG has yet to make an official announcement confirming the plans. Does Chris Brown’s cyber-apology count? Brown’s attorney Mark Geragos didn’t respond to calls and e-mails for comment on whether he approved Brown’s online statement, but it’s clear the wording was strategic: the two-minute mea culpa did not include the words “hit” or “domestic violence” but it’s obvious that’s what Brown is talking about. So why make the video, especially since the incident he speaks of has been mostly forgotten? Also, why give the “exclusive” to TMZ — the same Web site that ran the photos of a bruised and bloody Rihanna when Brown had his own Web site to post to exclusively (reps for Brown and TMZ wouldn’t answer this question, either). At the end of the day, the statement raises more questions than it answers, which is never a wise publicity move. Yes, it’s good to take responsibility, but to do so in the most controlled way possible does not have the same value as, say, appearing on live television, where difficult questions would be raised, or giving an exclusive to a magazine, which would mean writers and editors could also influence tone. Instead, Brown issued a video where he appeared well lit, well edited and definitely scripted. During a time when people ask constantly what there is to learn from celebrities and what precisely the value of pop culture might be, Brown did nothing to advance the cause. He proved that once again, being a celebrity means you get to control your message. Brown closed his statement by saying, “I intend to live my life so that I’m truly worthy of the term role model.” This isn’t how I, for one, want my role models to act.